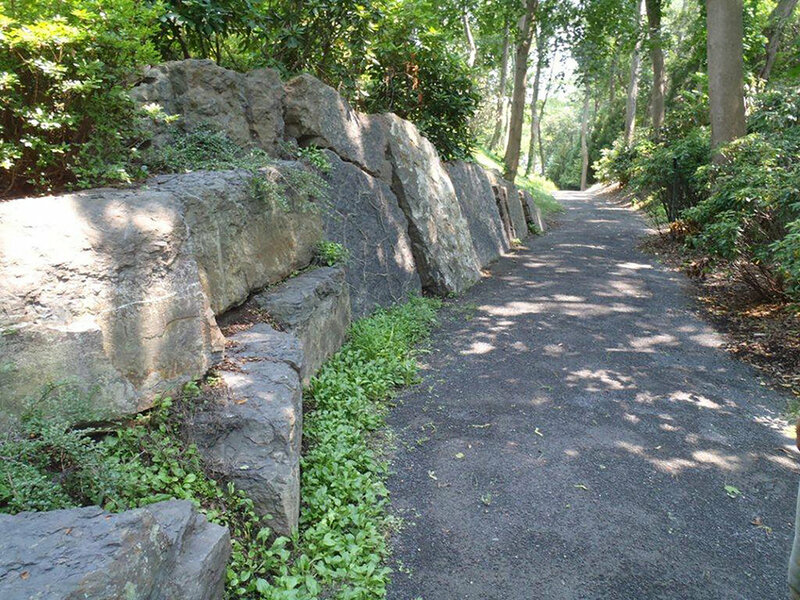 At the Mossy Hill Quarry, in Alcove New York, there is a wide variety of Landscape boulder material to choose from. These are all considered sedimentary sandstones and weigh approximately 170 pounds per cubic foot. There are about 12 cubic feet in one ton. The types of stone that come from the different ledges of the Mossy Hill Quarry are listed below. Each of these types have unique characteristics; but since they are from the same geological formation, they can easily be used together without compromising continuity. Landscape boulders are sorted into three size categories and sold by the ton. Sizing varies according to type selected. Alcove Boulder material is angular in shape and comes in many textures and sizes from blocky material to twisted, scalloped material. They are stackable and can be used in combination with our wallstone for retaining soil. The colors are the typical deep blue-grey, rust, gun-metal variations of the Alcove quarry. ﻿Antique Boulder material comes from the lowest ledges of the Mossy Hill Quarry and is similar to the Alcove type; but light grey with tans and some brown surfaces and edges. It is angular and blocky in nature. Wherever the stone is split or broken, it is light grey inside. Indian Fields Boulder material is very irregular and rough, yet still angular in shape. It is quarried from the tops of the outcrops and has therefore been exposed to weathering over time. 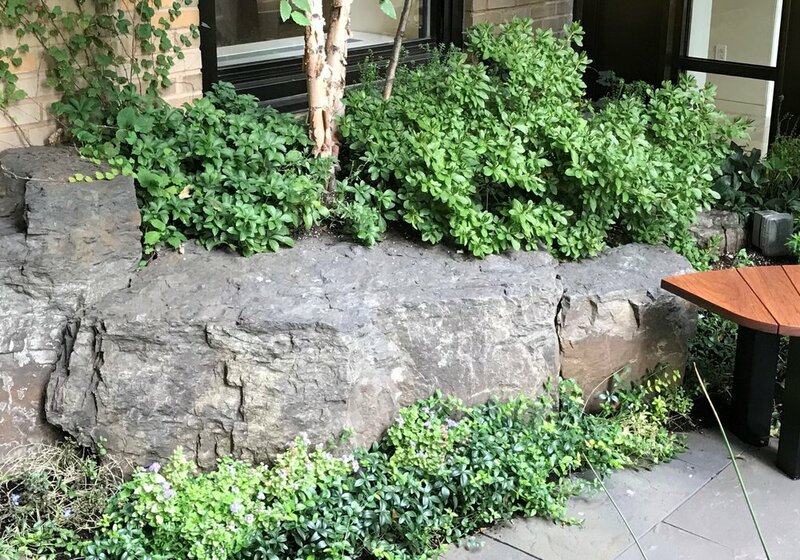 It sometimes; has visual seams which are very tight and is especially nice when you want to create a ledge look for a garden area. Mossy Hill Boulders are from the second layer of material and are predominantly brown and grey. The outside texture is rough with some drill holes present. The natural height of this material is good for outdoor seating areas. Tops are somewhat smooth and there can be changes in the cleft within the pieces. 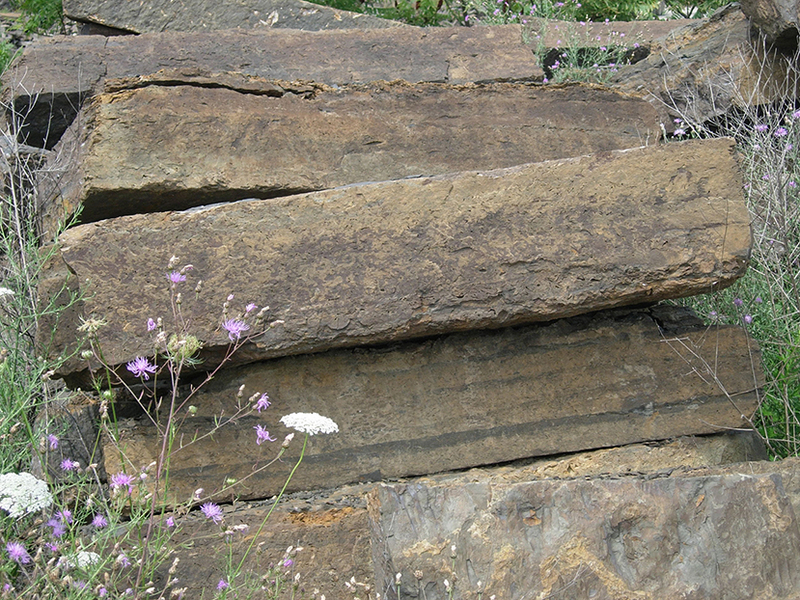 Fossil Boulders are the top layer (under the shale) and are long and rectangular, but only up to 12” or 14” wide. They are stackable and make nice edging or hillside steps. Fossils are shell-shaped and mainly visible from their sides. If the stone is split open, the shells are more apparent. They are a mix of brown and grey; and rough in texture. 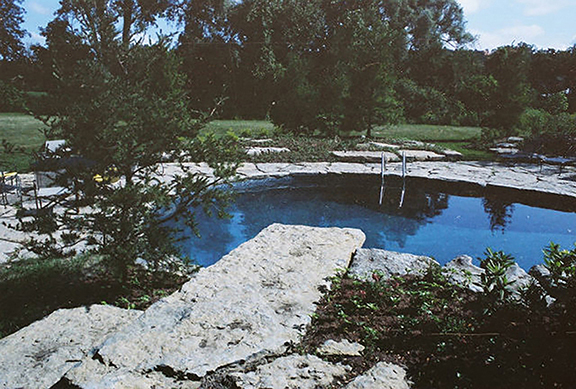 New York Quarries also supplies Onondaga Limestone from other locations throughout the upstate New York region. This stone is commonly known as “Limerock”. It is a very hard limestone and a beautiful material for use as landscape boulders. The shapes are blocky but with some weathered and rounded edges. The colors are light grey to white outside, and steel grey inside. Drill holes are sometimes present. Many of the surfaces are weathered and rough.